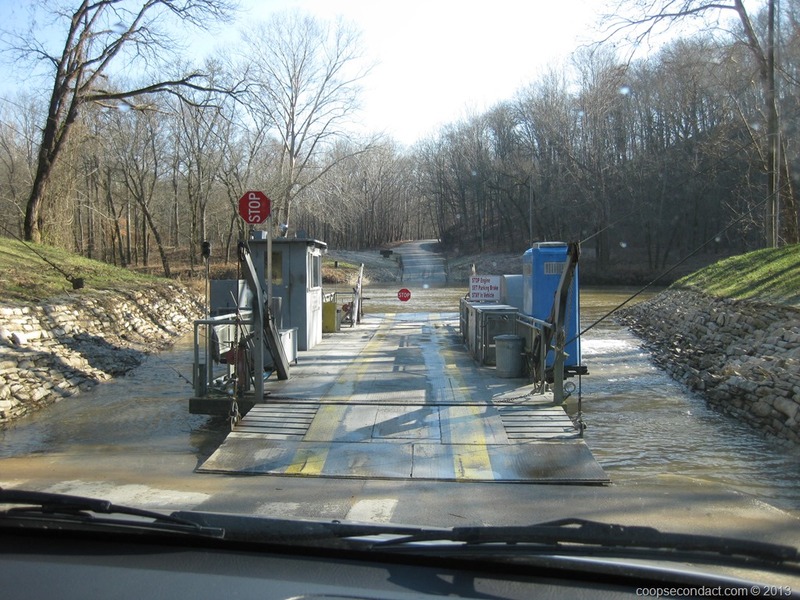 The most direct route for us to reach the cave from Cub Run was to take a road that crosses the Green River via ferry. The river is not very wide at that point but it was an added bonus to use the ferry. It can hold two vehicles and moves back and forth stabilized by two steel cables that keep it from being swept down the river. One of the benefits for us traveling this time of year is that popular attractions are not crowded. 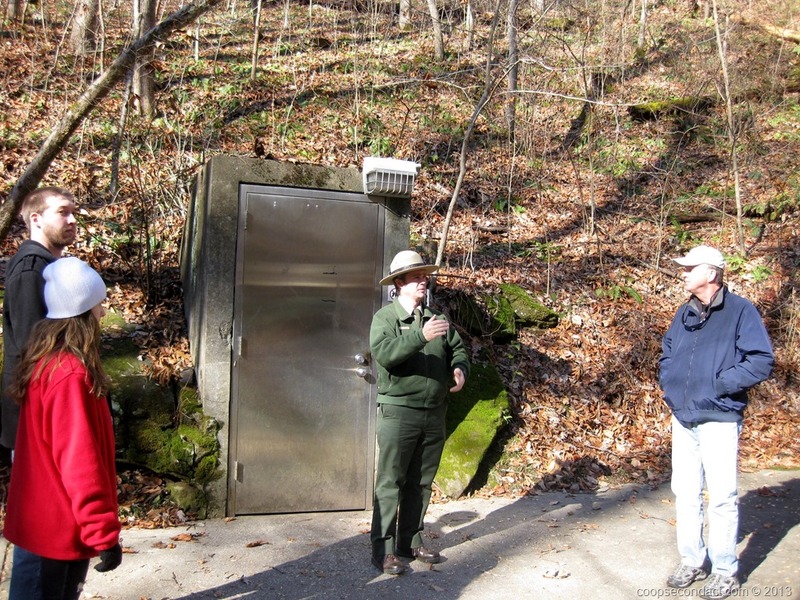 During the summer, Mammoth Cave attracts hundreds of visitors each day. For us, it was very quiet and low key. We chose to take the “New Entrance Tour” which can accommodate up to 118 people. For our tour we were two of the four people taking this tour. Since flash photography is not allowed, we could not get very good photos in the cave with our point and shoot camera, but the tour was very interesting and took us through many different types of formations inside this amazing cave. The “New Entrance” is a man-made entrance that was opened in the early 20th century. The original, or historic opening is a natural cave opening that is thought to have been explored by humans as early as 4,000 years ago. An oilman named George Morrison became interested in the Cave and believed that it’s length extended beyond what was known at that time. He eventually opened the new entrance and found that it connected with the existing Cave. This was part of the “cave wars” that broke out in the 1920’s. Before the National Park was formed all of these various parts were combined. Once we exited we had to walk through a pad to wash the bottoms of our shoes to remove bacteria. Cave systems in the US have been experiencing a bacteria that causes death among the bat population. The shoe washing is an effort to control the spread of this bacteria from one cave to another.